Lately, I have been quite stuck on boots and colorful shoes with multiple materials and I figured that it was time to go back to the other spectrum of the shoe industry that I love: the classics. Some days you have this urge to wear something bright, different or just something that you know that no one else will own, but other days provide for simplicity and elegance and nothing can quite display such characteristics finer then the classic pieces that belong in every man and woman’s wardrobe. This shoe here, by J.M. 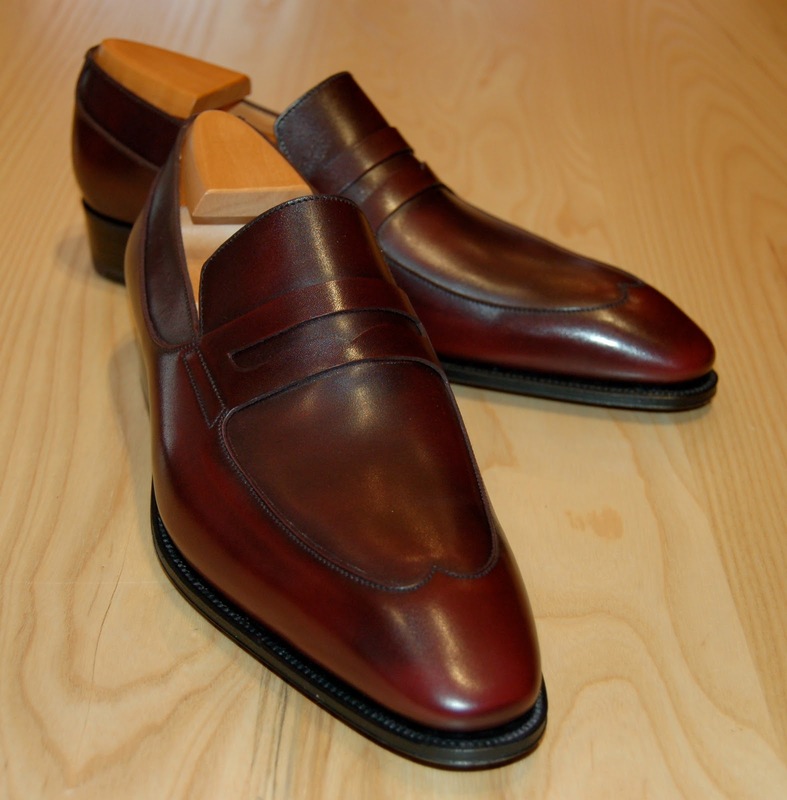 Weston, is one my favorite examples of a handsomely elegant loafer. I don’t think that there is one detail on this shoe that is out of place, doesn’t belong or is anything less than being perfect. Very nice pair of loafers.